My eyes were glittering when I saw the advertisement for the exchange program for Glasgow University. I felt that this program met my strong desire to learn more, go deeply in fitting myself in the community, and contribute, like anyone else, in advancing English in my society. 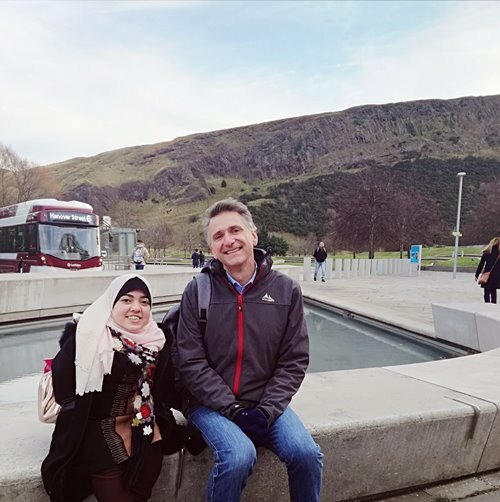 After applying for the program, I was more than happy when I got the message of being accepted and being one of the best candidates to represent my university at Glasgow University in the UK. Not only that! I was the student who was selected to enter the semester without a pre-sessional course since I got a great mark in both the exam and the meeting of the host university. Being part of such an outstanding program and obtaining this opportunity have magnificent impacts on my life. Actually, l am 20 years old, and I am planning to take MA. I am a hard worker, and I am eagerly waiting to open a new chapter in MA studies.